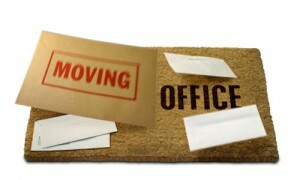 If you’re Moving Office in Limerick, moving your office to Limerick, or moving office away from Limerick, e-Van Transportation is a man with a van and specialist provider of Office Removals in Limerick, ensuring your Office Equipment, Furniture and Fixtures are transported from your old office to your new premises quickly and easily. e-Van Transportation also offers Office Removals Services from Limerick to anywhere in Ireland and Northern Ireland, so if you need a man with a van to help you move office from Limerick to anywhere on the island of Ireland, e-Van Transportation’s man with a van Limerick office removals services are the ideal solution. Our drivers have ratchet straps, which will hold your furniture securely in place where necessary, so that they don’t move around the van during transportation. We also use blankets to protects your furniture from damage. Our drivers trolleys to transport heavy and awkward items where possible. All items are handled with care and loaded carefully by professional, experienced movers. "The Big, Stressful House Move: How to do it Right"
“Hi Evan, I would just like to say the guys who turned up today were amazing. So quick, didnt make a mess and it was raining very heavily. Great job and will recommend you moving forward. Really professional service! e-Van Transportation, established in 2014, is a Man With A Van Dublin Home and Office Removals Company offering a range of Van Transportation services in within Dublin and neighbouring counties, and from the Greater Dublin Area to anywhere in Ireland and Northern Ireland, and vice versa. If you need a man with a van in Dublin, to get your goods from A to B, or a man with a van to help you move from the Greater Dublin Area to elsewhere in Ireland, contact e-Van Transportation for a quote. e-Van Transportation is a Dublin-based company, with several van drivers available in various sizes of vans available to suit any size of home or office move. We provide excellent Man with a Van services in Dublin, surrounding counties, and All-Ireland at great prices. 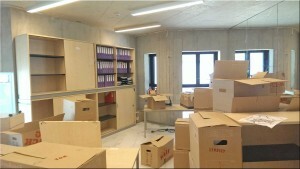 e-Van Transportation specialises in apartment and house removals in Dublin and office removals in Dublin. We offer all of our moving services in Dublin and Dublin's neighbouring counties. Our man with a van moving services include house removals, apartment/flat removals and office removals. If you need a man with a van in Dublin for any kind of furniture removal, including when you are buying something second hand from a third party, give e-Van Transportation a call. We also specialise in providing a man with a van Dublin furniture collection and delivery service for single or several items of furniture. So if you're buying some furniture 2nd-hand and need a man with a van in Dublin to transport it from the seller to your home, contact us for great prices and experienced, reliable movers. We offer equipment transportation man with a van services in the Greater Dublin Area, and if you need a man with a van in Dublin for band equipment transportation including amps, drum kits and other large Instruments, e-Van Transportation specialises in this service in the Dublin area. We have a licenced waste collection man with a van in Dublin and neighbouring counties, who holds a waste collection permit, and we have service partners in various other counties. All licenced collectors can collect and dispose of or recycle a wide range of bulky waste, furniture and electrical appliances and electronics. All items are taken to an authorised recycling centre. If you have household bulky waste to dispose of, including furniture, you need a licenced waste collection man with a van in Dublin to call to your home and collect the items and take it to the dump, we can arrange this service. If you need to recycle large quantities of recyclable office materials that could not be taken by your usual collector due the quantity, we offer a licenced man with a van in Dublin to collect and dispose of them properly. For office electronic equipment recycling and household electrical appliance recycling our licenced man with a van in Dublin is an ideal solution, particularly with large bulky appliances. e-Van Transportation specialises in House Removals in Dublin and neighbouring counties. We also offer fixed rates for house removals from Dublin to anywhere in All-Ireland. As a provider of house removals in Dublin, our services are ideal for people moving house, apartment or flat within Dublin and neighbouring counties, or moving house from The Greater Dublin Area to elsewhere in Ireland. We also offer house removals for local moves within various other counties in Ireland. Our services in relation to house removals in Dublin and surrounding counties cater towards people moving house, whether you require a small van, large van or a box-back van to transport furniture, clothing and other household belongings from their old house or apartment to their new house. Our drivers have trolleys, ratchet straps and blankets for secure transport of your goods during house removals services, and offer vastly experienced and excellent services. e-Van Transportation offers friendly, reliable movers for convenient and careful house removals in Dublin and bordering counties, 7 days a week and at a time that suits you between 10am and approx 9pm. Our range of vans for house removals in Dublin include a small renault traffic for small house removals, a large Ford Transit (model T280 long-wheelbase with semi-high roof) and other similar sized vans for average house removals, an extra-large Mercedes Sprinter (Long-Wheelbase, High Roof), which is ideal for larger house removals in Dublin, and a Box-Back Renault Master (Low-Loader), perfect for three-bedroom house removals or larger. With all of our vehicles, we offer the safe, fast and convenient transport of your household items within Dublin and neighbouring counties, and from the Greater Dublin Area to anywhere on the island of Ireland. Check out our great rates for house removals in Dublin and the surrounding counties and from the Greater Dublin Area to All-Ireland. You'll find info on the Cost of Removals page, which you'll find in the Contact Us section. e-Van Transportation is a specialist Moving Company in Dublin, offering House Removals, Apartment/Flat Removals and Small Office Removals in Dublin and neighbouring counties, as well as a range in other Man with a Van services. e-Van Transportation is a wholly Irish-owned Moving Company in Dublin, with a vast level of experience, offering a friendly, reliable services at your convenience. Established in February 2014 as a solo man with a van Dublin moving company, e-Van Transportation has expanded to become a multi-driver Moving Company in Dublin, offering services through several drivers with various van sizes. Our services in relation home removals in Dublin and neighbouring counties include house removals and apartment/flat removals to help people who are moving home and need a large van to transport their furniture and other household belongings to their new home. We also offer small office removals services, which are ideal for companies moving office within Dublin and it's neighbouring counties. This is a great way to transport your office furniture and equipment to your new premises. e-Van Transportation's specialisation as a Moving Company in Dublin means our services are ideal for people moving home and office within Dublin and neighbouring counties. We offer rates that are some of the most competitive among moving companies in Dublin, and we offer our services 7 days a week. 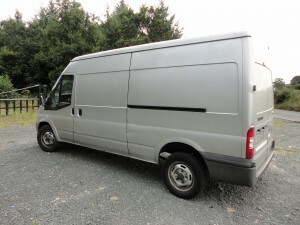 Our typical vehicle is a large Ford Transit van pr similar which is the perfect vehicle for a moving company in Dublin, since it has a large capacity to transport your household furniture and belongings or office equipment, while still being compact enough to get around the streets of Dublin and neighbouring counties with ease. Check out our rates for removals in Dublin. You'll find them in the Contact Us section.